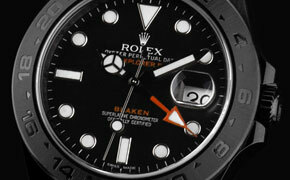 Distinguishing between day and night becomes difficult when polar nights are light for weeks on end and expeditions are underground without daylight. 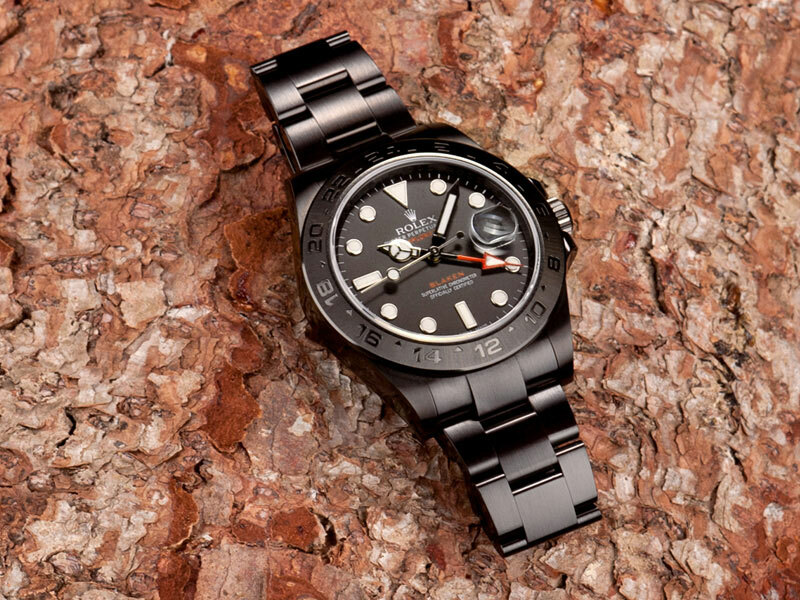 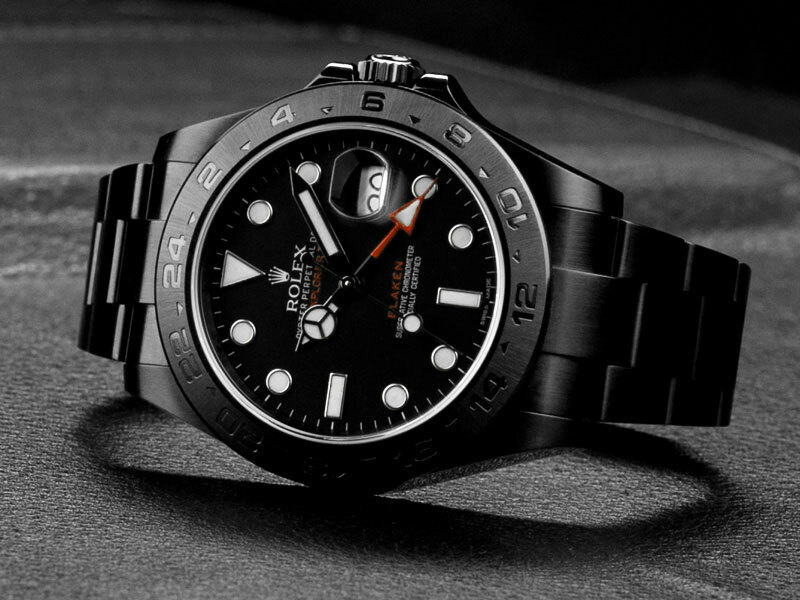 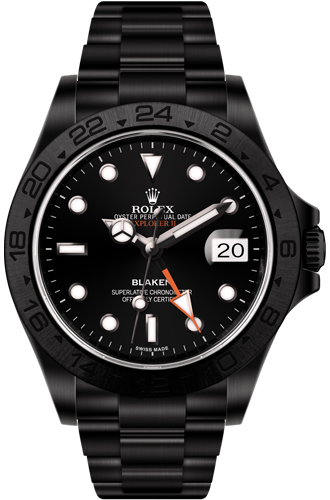 With its 24-hour hands providing first-class orientation between the daytime and night-time hours, the Explorer II supplies a solution to these everyday problems faced by plucky natural scientists. 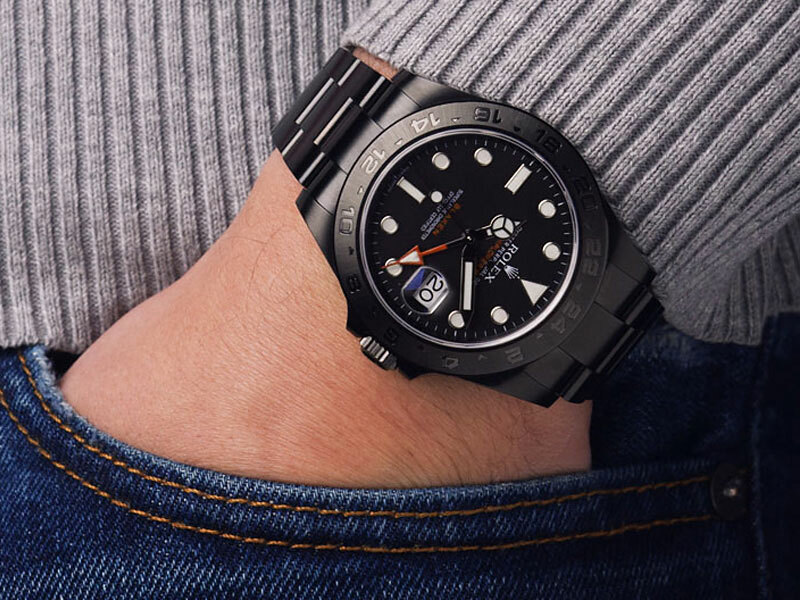 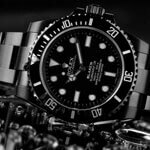 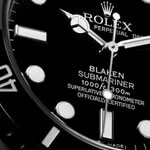 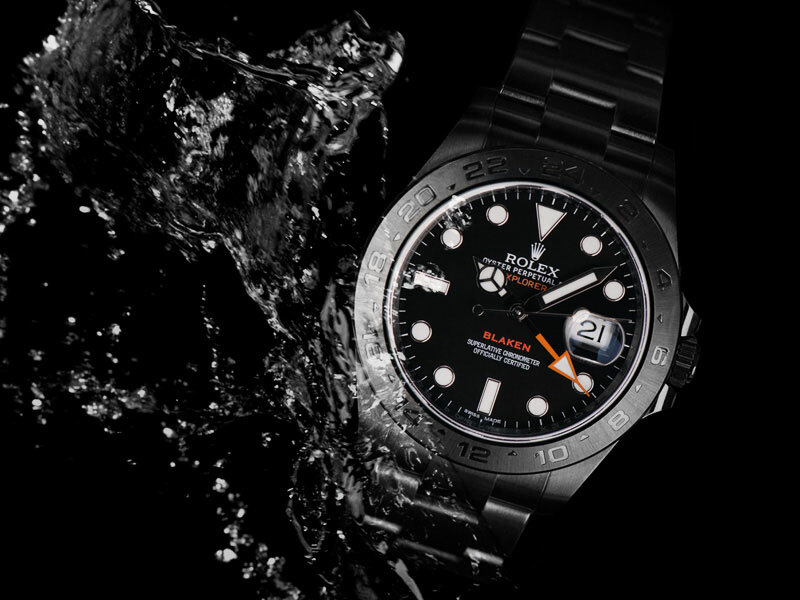 Whilst the Explorer is the smallest of the watches in the Rolex sports collection, the Explorer II is the big brotherand is impressive with its 42 millimetre casing, large hands and numbering. 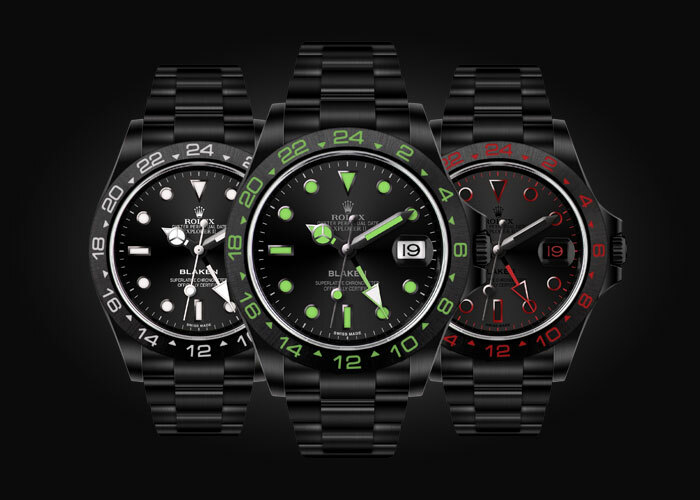 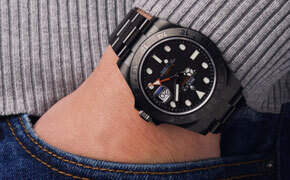 These models are also created for extreme temperatures, raw conditions and the daredevil day-to-day life of expeditions. 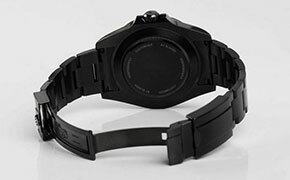 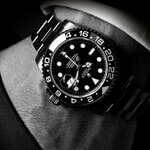 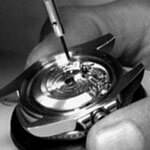 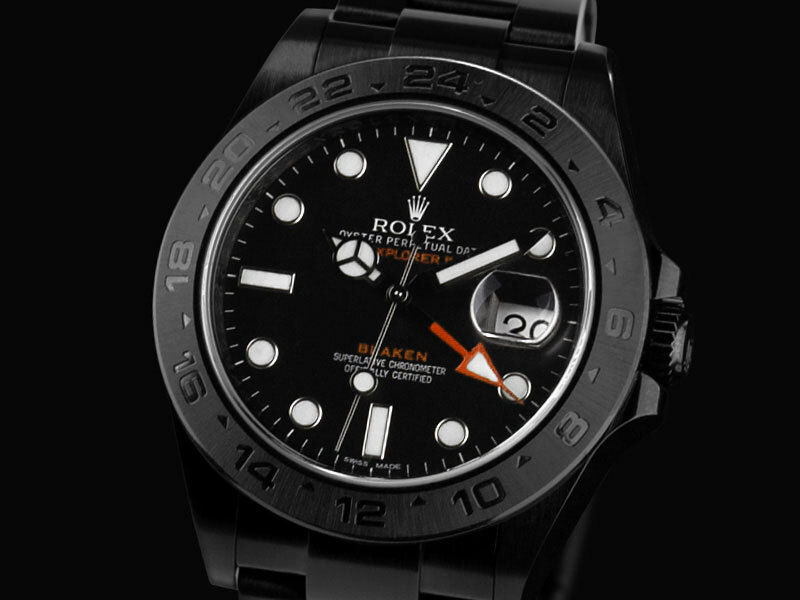 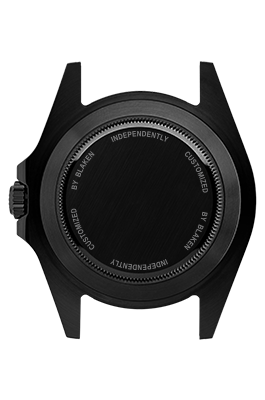 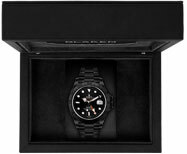 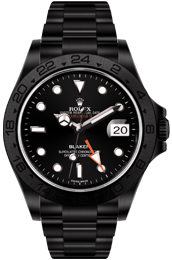 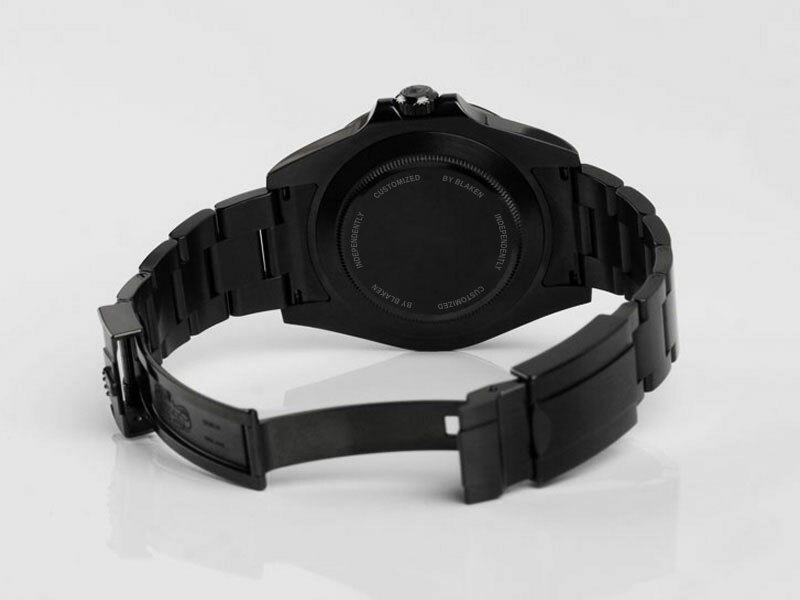 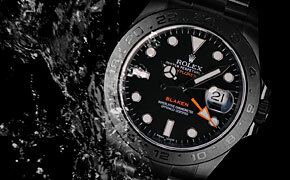 As a Blaken, the watches provide increased durability and intrepidly meet the highest design and material requirements. 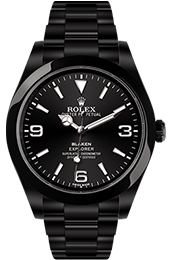 Without doubt, these Blakens are also elegant and stylish on a whole different level for those not taking part in expeditions. 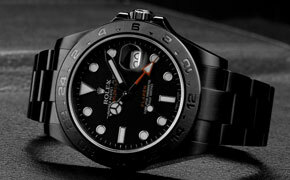 and is impressive with its 42 millimetre casing, large hands and numbering. 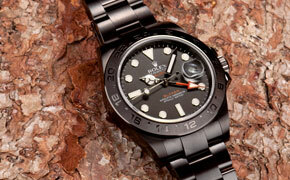 These models are also created for extreme temperatures, raw conditions and the daredevil day-to-day life of expeditions.